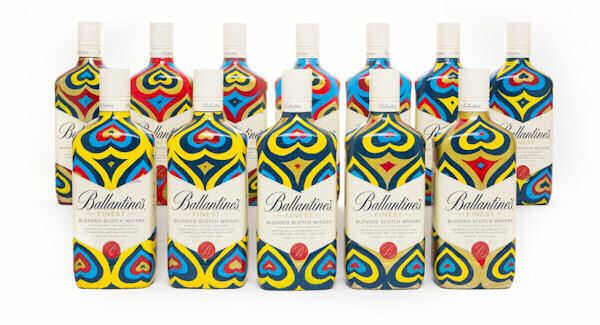 Ballantine’s Finest today launches a collection of 12 limited edition bottles, which have been hand painted by the world’s leading ‘GIF-ITI’ and fine artist INSA, and transformed into a vibrant animated piece in the artist’s trademark style. 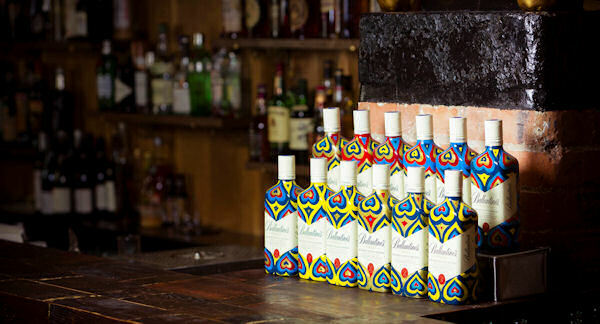 The limited edition bottles will be exhibited at East London’s Original Sin bar and both Ballantine’s and INSA fans around the world will get the chance to own one for themselves via social media. The innovative partnership is part of Ballantine’s ongoing drive for innovation, collaboration with creative talent and new ways to present the brand in the digital space. It follows on from ‘Ballantine’s Presents INSA’s Space GIF-ITI’, an online film which charted the creation of the world’s largest animated GIF captured from space in Rio de Janeiro, that has been viewed over five million times to date. The film formed part of an ongoing series of collaborations between Ballantine’s and unique global talent who define Ballantine’s mantra of ‘Stay True’, featuring projects inspired by their personal talents and beliefs. To create the animated work, INSA first took twelve of Ballantine’s iconic bottles into his London studio and hand painted them with his trademark ‘Looking for Love’ inverted heart motif. Each of the 12 bottles is totally unique, with the design evolving gradually across them. Once complete, each one was photographed and then stitched together creating the intricate animated “whisky GIF”. As hand painted and limited edition works of art, the bottles will not be made available for sale. Instead, visitors to London’s Original Sin bar will be able to view the collection from March 25th to April 3rd and have the chance to win one via their Twitter and Instagram channels using the handle @originalsinbar.